When a family pet dies, it impacts everyone in the family, and it can impact everyone in different ways. It’s up to you to make sure that you’re there to support your children because they’ll find it particularly difficult. It’s important to be sensitive to their needs and handle the situation with care. Six years ago, we had our first experience with a pet death when our beloved cat passed away after 19 years. If your family pet is unwell and the vet has confirmed that there is nothing that can be done, and that the best thing would be to have the pet put down, take swift action. By prolonging the pain, you will only make things harder for your family, and there will be more suffering for your pet too. Yes, it can be incredibly tough to make that call, but it’s often the necessary one. Once your pet has passed away, you should make it clear to your kids that they can be open with their thoughts and feelings. If they do have questions, try to answer them as openly and as honestly as you can. If they’re able to discuss their feelings, they won’t feel the need to bottle them up, which is positive because bottling up emotions is never healthy for children. You will have positive and happy memories of your pet, and those memories should unite you be something that is shared. Talk about the happy times you had and celebrate the positive things that came from having your pet for the years that you had them. It doesn’t have to be all doom and gloom, even if it is a sad time for your family right now. It’s a nice idea to create a small memorial to your pet because it gives you something to remember them by. 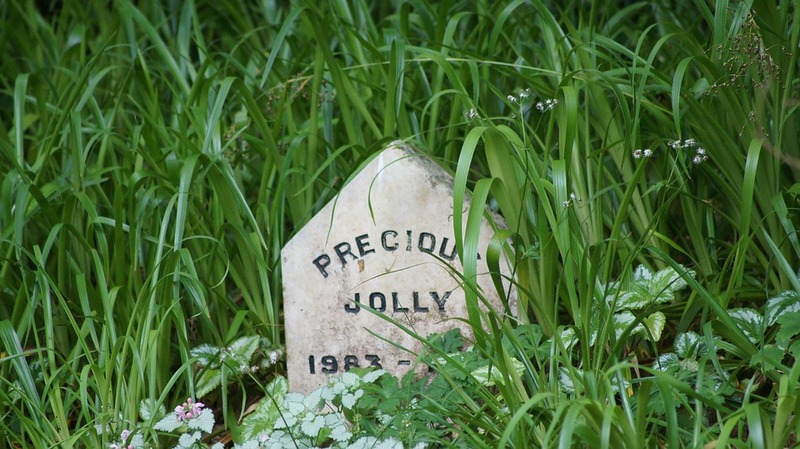 It could be a small headstone in the garden, which you can get from sites like Memorials.com. Or it could be as simple as adding a framed photo of your pet to a wall in the home. It’s best to wait a little before you think about replacing your pet. It can be a bit too soon if you start searching for one right away. Your family needs a bit of time to grieve and come to terms with what has happened. However, in the end, it’s definitely a good idea to get another pet because it fills a void in your home, which can be important. When a family pet dies, it throws up all kinds of emotions and it might even be the first time your kids even understand the concept of death. The situation should be handled carefully, and it’s something that’s certainly worth preparing for.